The ANDROID platform is booming right now. Even though Apple’s iOS was first to market, Android now has the largest market share of all the mobile and tablet markets and is growing all the time. This is partly due to the many different phone manufactures offering a wide range of devices, appealing to a wide demographic. It’s also down to the fact that Android is not only available on just mobile phones and tablets, but all sorts of devices from TVs to glasses. There are even dedicated games consoles such as the OUYA and Game Stick that are powered by Android. Android truly is a platform that cannot be ignored. When discussing the pros and cons in developing for iOS and Android, people often claim that apps stand to make more money on iOS. This, they believe, is down to the App Store having better monetisation measures, making the users more used to paying for apps. This is true to some extent, but recently Google has been closing the gap by spending a lot of time improving monetisation in their own marketplace, Google Play. The recent bout of higher end devices are also attracting some customers away from Apple, and these customers want replacement apps for ones they used to own on their old device. What’s more, competition on the iOS app store is often much fiercer, meaning that discoverability is lower and development risks are much higher. Putting all this together means that you have a situation where good apps on Android can make money. Google Play is not curated in the same way that the App Store is. As long as your app is functional and does not break any of Google’s basic rules it will be allowed on. This can lead to a market that has a lot of poorly designed apps thrown together by bedroom coders. We believe this is actually a massive pro for Android development. It does not take much for a polished app to shine and garner good reviews. It also makes the Android platform a perfect testing ground for new apps. Once a few iterations have been released on Android, you will have a sleeker, more streamlined experience with an active user base to release on iOS. The Android development process is usually more straight forward and cheaper than other platforms. Google have released some great free tools to ease the app creation process, and the programming is done in a common language that most developers are familiar with. However, this reduction in development cost is often offset by the cost of testing. 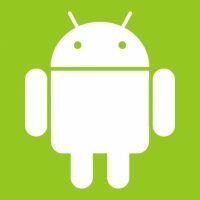 One of the big strengths of Android is also one of its biggest problems: since there are so many devices that run Android, there are so many different form factors to consider. Developing one app that will work on every single Android device is unrealistic. Our approach is to develop for three or four device “types” ranging from low end small screen mobiles to high end tablets. We then focus on the important handsets that are owned by the most users in our testing, and optimise for them. We believe that choosing between iOS and Android is a false dichotomy. You can’t not develop for either platform, and you certainly can’t not develop for Android.